I remember the pre-Heller gun case predictions that the Supreme Court striking the DC handgun ban would lead to carnage. Well, the Washington Times notices the opposite is indeed true, here is the truth: “DC Homicides, In National Trend, Hit Lowest Level Since ’64”. The year is drawing to a close with homicides in the District at a 45-year low, reflecting a national trend that law enforcement officials are attributing to multipronged crime-prevention strategies that include advances in communication and coordination. With just two days left in the year, according to preliminary numbers from the police department, the District has had 138 homicides compared with 184 at the same time last year, setting up the city to record the lowest number of homicides since 1964, when 132 were reported killed. Metropolitan Police Department officials attribute the decline to a “perfect storm” of crime-fighting strategies, including a new culture of communication within the police department. More guns, less crime. A proved axiom. Al Qaeda Operative Tries To Bomb US Airliner Bomb Fizzles, Alert Passenger Jasper Schuringa saves the day, “subdues” him, Flight Lands Safely In Detroit. Big Government idiots spring into action, after figuring out the attempted terror attacker was on their very on government terror watch lists. Terrorist’s father had notified the US State department in Nigeria six months ago that he had ‘bad suspicions’ about his son. Napolitano’s TSA decides new rules, can’t go to bathroom one hour before landing. Looks like TSA gets a big lump of coal in it’s stocking this year. Multiple screenings and they didn’t spot the bomb? Or even zero in on the person on their very own no-fly watch lists. 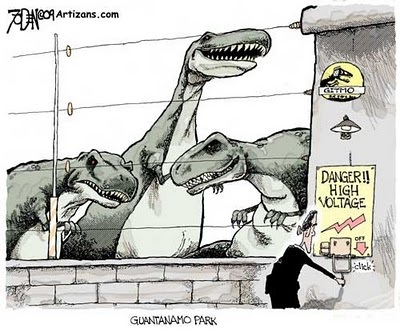 Napolitano declares government terror system worked perfectly … uhh huh it sure did Janet, it sure did. It is crucial that scientists are factually accurate when they do speak out, that they ignore media hype and maintain a clinical detachment from social or other agendas. There are facts and data that are ignored in the maelstrom of social and economic agendas swirling about Copenhagen. • Polar bears have survived and thrived over periods of extreme cold and extreme warmth over hundreds of thousands of years – extremes far in excess of modern temperature changes. For example, some argue that the Arctic is melting, with the warmest-ever temperatures. One should ask, “How long is ever?” The answer is since 1979. And then ask, “Is it still warming?” The answer is unequivocally “No.” Earth temperatures are cooling. Similarly, the word “unprecedented” cannot be legitimately used to describe any climate change in the last 8,000 years. There is not an unlimited supply of liquid fuels. At some point, sooner or later, global oil production will decline, and transportation costs will become insurmountable if we do not develop alternative energy sources. However, those alternative energy sources do not now exist. A legislated reduction in energy use or significant increase in cost will severely harm the global economy and force a reduction in the standard of living in the United States. It is time we spent the research dollars to invent an order-of-magnitude better solar converter and an order-of-magnitude better battery. Once we learn how to store electrical energy, we can electrify transportation. But these are separate issues. Energy conversion is not related to climate change science. I have been a reviewer of the last two IPCC reports, one of the several thousand scientists who purportedly are supporters of the IPCC view that humans control global temperature. Nothing could be further from the truth. 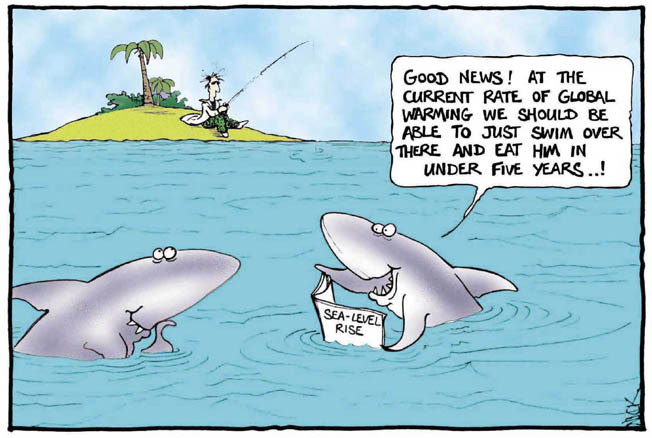 Many of us try to bring better and more current science to the IPCC, but we usually fail. Recently we found out why. The whistleblower release of e-mails and files from the Climate Research Unit at East Anglia University has demonstrated scientific malfeasance and a sickening violation of scientific ethics. If the game of Russian roulette with the environment that Adrian Melott contends is going on, is it how will we feed all the people when the cold of the inevitable Little Ice Age returns? It will return. We just don’t know when. You believe Al Gore, you will starve. Food crops don’t like cold weather. You are currently browsing the Tarpon's Swamp blog archives for December, 2009.